Multiple leaks have recently suggested that Samsung is working on a fitness-focused smartwatch. Until now, it has been referred to as the Galaxy Sport. But according to the sources of one reliable tipster, the smartwatch will actually be released as the Samsung Galaxy Watch Active. Externally, it seems this new device could represent a big change in direction for Samsung’s wearables. Leaked renders suggest that the popular rotating bezel (which helped navigate through Tizen’s UI) has been scrapped entirely in favor of a smooth, non-toothed alternative. Similarly, the pill-shaped buttons featured on previous wearables such as the Galaxy Watch have seemingly been replaced by new circular ones which look much sleeker. The internal characteristics of this particular wearable remain a mystery at the moment, although Tizen 4.0 is to be expected straight out of the box. Speaking of which, this software should bring support for a number of health-related features. At least if the device’s codename 'Pulse' is anything to go by, anyway. The Samsung Galaxy Watch Active is expected to make its debut alongside the Galaxy S10 series and Galaxy Fold on February 20th at Samsung’s Unpacked event. Pricing and availability remain a complete mystery at the moment, but a previous report did point towards black, silver, gold, and green options. Could be. To me in this picture, it looks like it still has the ring. Ring in display? 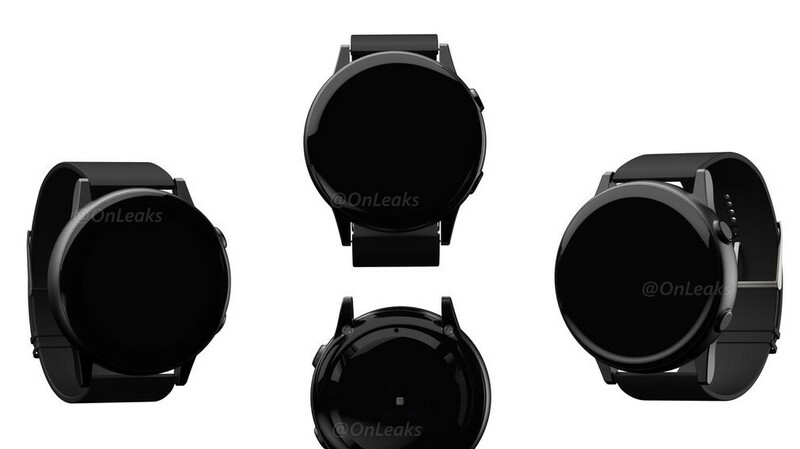 Samsung smartwatches actually have huge bezels and small screens. There are decent smartwatches on the market with 1.4 inch OLED screens, this means around 30% more screen area than the biggest Galaxy Watch.